Last week’s shooting incident in Jaffna in which two male Jaffna varsity undergraduates lost their lives because of alleged Police firing has given rise to a raging political controversy.Initially it was announced officially that the deaths were due to an accident but subsequently it was stated that the Police had to open fire on a motor cycle with two persons as they had disobeyed instructions to stop.Five Police officers have been, arrested,remanded and interdicted in connection with the incident which occurred at Kulappiddy junction in Kokkuvil.The deaths and the crude attempt to cover it up has resulted in huge protests by Jaffna undergrads. In a rare display of inter-ethnic unity, Students in Universities across the country have also expressed their solidarity by protesting. Most Tamil political parties came together and staged a Hartal in the north demanding justice for the killings. When TNA and opposition leader Rajavarothayam Sampanthan raised the issue in Parliament,Prime minister Ranil Wickremesinghe responded saying an impartial inquiry will be conducted and action would be taken. 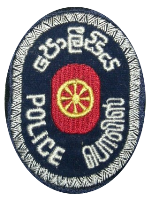 In what may very well be an unrelated “sideshow” two Policemen in civils were slashed by gangsters on a motor cycle at Chunnakam over the week-end. Leaflets claiming credit were widely distributed in the name of a group called”Aavaa”. All these have caused Jaffna to be on the boil while the country at large gazes north with much concern and anxiety. The complicated situation has been further compounded by the irresponsible and provocative conduct by particular politicos and sections of the media on either side of the ethnic divide. It all began on Thursday October 20th 2016. Two Jaffna varsity arts faculty third year students were travelling along the Jaffna- Kankesanthurai road known as AB16 on a Bajaj CT 100 motor cycle bearing the number BAX 3142. 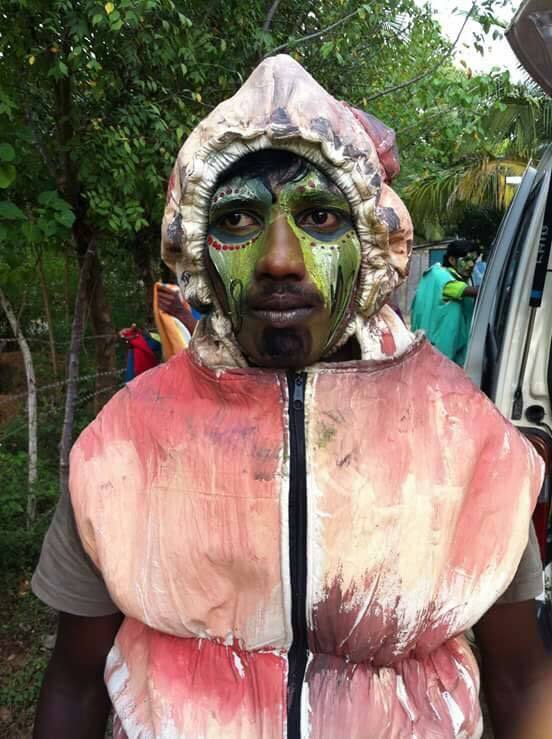 The motor cyclist was 24 year old Vijayakumar Sulakshan who was following media studies at the Jaffna campus. 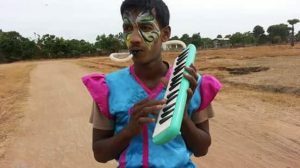 Sulakshan was also an artiste who had produced some popular videos and you tubes featuring his performances. Seated on the pillion was 23 year Nadarajah Gajen a student of Political Science at the varsity.Both were returning to their hostel near the campus after attending a party in Kantharodai near Chunnakam. Sulakshan himself was a resident of Kantharodai while Gajen was from Bharathipuram in Kilinochchi. The most convenient route from Kantharodai to the campus vicinity in Thirunelvaeli also known as Thinnaivaeli was along the 18. 5 km long AB16 or the Jaffna-Kankesanthurai road. One had to go across from Kantharodai to Chunnakam and then proceed towards Jaffna town along the AB16 passing places like Maruthanaamadam, Koandaavil. Thaavadi,Kulappiddy and reach Kokkuvil junction from where you cut across towards the campus. The two undergrads on the motor cycle riding along the AB16 known popularly as the KKS road had passed Thavadi and reached Kulappiddy junction in the general area of Kokkuvil when the tragedy occurred close upon midnight at about 11.45 pm on the 20th. Five Policemen were on duty at Kulappiddy junction along KKS road at that time. They were Sub –inspector Sarath Dissanayake , Sgt P. S. Jayawardena, P C Chandana, PC Laknamanna and PC. Navarathne who was the driver of the Mahindra Scorpio jeep used by the cops on duty at the spot. SI Dissanayake was in charge of the Policemen on duty at Kulappiddy. 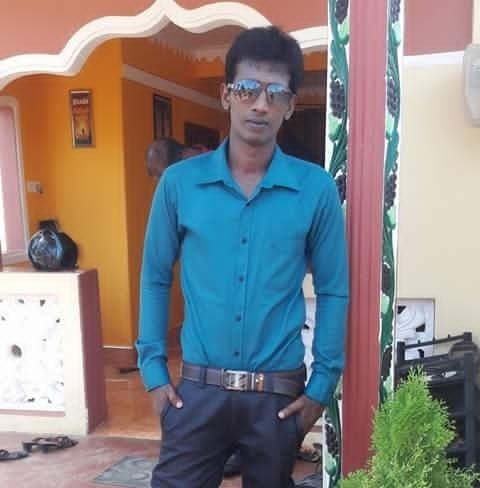 The Police summoned an ambulance shortly after midnight to Kulappiddy and sent two persons to the Jaffna teaching hospital saying both had been seriously injured in a motor cycle accident.24 year old Sulakshan was pronounced dead upon admission. 23 year old Gajen too succumbed to his injuries within a few minutes of being admitted. 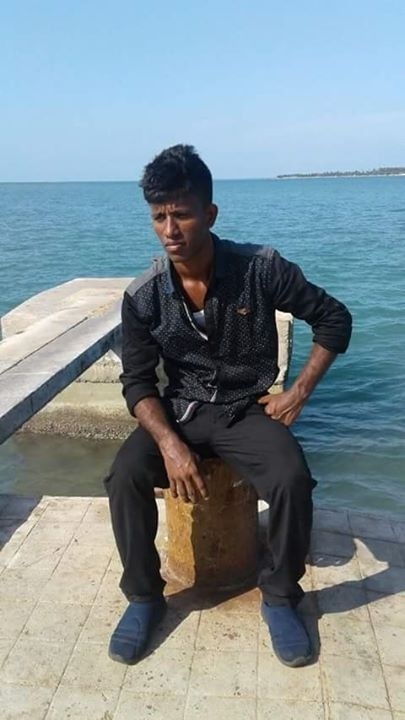 Police headquarters was duly informed by Jaffna Police that two Jaffna varsity undergraduates had been killed in a motor cycle accident in Kokkuvil, Jaffna. 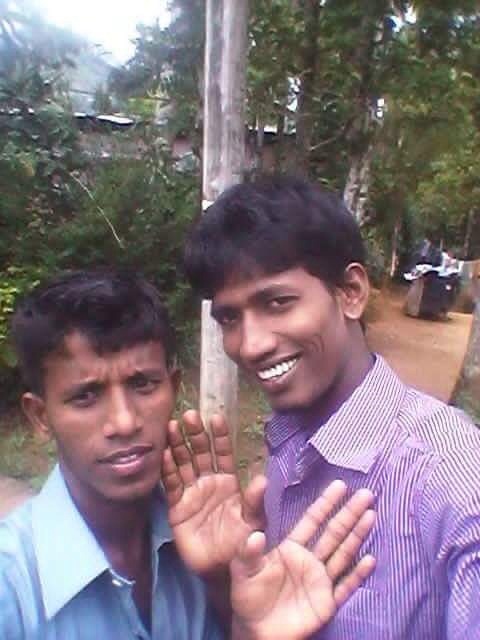 Their motor cycle had skidded and struck a wall it was said.This news was disseminated to the media and several TV channels and radio stations relayed the news about the accidental deaths of two undergrads in Kokkuvil, Jaffna. The initial Police bulletin that the two undergrads had died in a motor cycle accident was widely believed. This state of affairs did not prevail for long.Gradually the “other” more factual side of the death by accident story began to gather momentum. People living in the Kulappiddy junction vicinity had heard shots being fired around midnight. There was also heard a report of a crash. Some had rushed out of their homes to see what was happening. Excited Policemen at the spot had ordered them to go inside saying there had been an accident.When news of the accident only was officially announced the following morning these residents got perturbed. What were the reports of gunfire they had heard?Why was there no mention of them in the news reports? Why was the Police emphasising the accident aspect only?Why did the Police chase them away from the scene if it was merely a motor cycle crash? Belatedly the people of the area began to suspect that something much more than a motor cycle accident had happened. They began to circulate their suspicions to one another and others. Since the dead youths were undergraduates ,some contacted the Jaffna varsity students they knew and told them of the shots they heard at night. The Arts faculty students union at the Jaffna university is the largest student body and the most active in the campus. The Arts faculty students union had mobilised over 2500 undergrads to go in procession and participate at the recent “Ezhuga Thamizh”(Arise Tamil)rally held in Jaffna on Sep 24th. Once the student union heard that the accidental deaths of two arts students was “suspicious”,those suspicions started spreading rapidly and widely via internet and SMS.Soon a crowd of Jaffna undergrads began to gather at the Jaffna hospital demanding to know what had exactly happened. In the meantime the medical personnel examining the bodies of the two students made a discovery that contradicted the initial reports made by the Police. The preliminary report of the Judicial medical officer(JMO)indicated that one of the dead youths had died of gunshot injuries while the other had died due to head injuries sustained in a collision. Though the JMO report had not been publicised ,news began to trickle down the hospital grapevine that at least one of the students had been shot dead.When this information reached the students they got further agitated. They began to accuse the Police and by extension th Government of killing Tamil undergraduates deliberately and then suppressing it through distorted press releases. A big, boisterous crowd mainly comprising undergraduates converged in and around the Jaffna teaching hospital premises. Things may have taken an ugly turn for the worse but for the intervention of President Maithripala Sirisena. 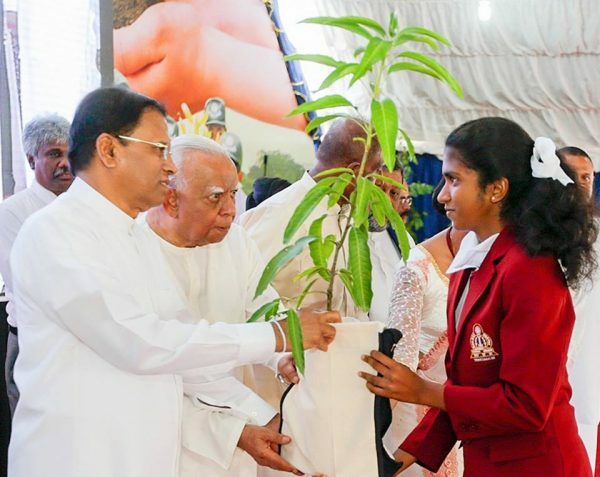 The president who is also the minister in charge of environment was in Trincomalee for the Trincomalee district environmental summit and also to inaugurate the “Vana Ropa” tree planting program for the multi-ethnic district.Tamil National Alliance(TNA)leader and Trincomalee district MP Rajavarothayam Sampanthan also participated in these events on the invitation of the president. While having lunch, President Sirisena told Sampanthan briefly about the Jaffna incident and asked the opposition leader to find out more. Apparently the president had been alerted that Varsity students were demonstrating at the Jaffna hospital. Sampanthan in turn contacted Jaffna district MP and TNA spokesperson M. A. Sumanthiran who was in Colombo at that time. Sumanthiran got in touch with senior TNA Jaffna MP and Ilankai Thamil Arasu Katchi(ITAK) leader Somasuntharam ”Maavai” Senathirajah who was in Jaffna. Sumanthiran also contacted a number of official sources in Jaffna to find out what exactly had happened. In the meantime Senathirajah too went to the Jaffna hospital and attempted to pacify the protesting students. After making inquiries Sumanthiran who is also a lawyer found out that the information released by Police about the students being killed in an accident was wrong. He also received information that at least one of the undergraduates had died of bullet wounds. This was communicated by Sumanthiran to Sampanthan who in turn informed President Maithripala Sirisena around 3 pm on 21st at an event being held at Mcheyzer Stadium in Trincomalee. When appraised of the situation fully, President Sirisena took immediate action. He contacted the Defence secretary Karunasena Hettiarachchi, Inspector-General of Police Pujith Jayasundara and Mass media deputy minister Karunarathne Paranavithane and gave them clear cut instructions on taking appropriate action.Sampanthan also spoke to the IGP Pujith Jayasundara and expressed concern about the incident. “The Tamil National Alliance (TNA) unequivocally condemns the incident that took place in Jaffna today, killing 2 university students.The leader of the TNA, and The Leader of the Opposition, Hon R Sampanthan MP met His Excellency the President Maithripala Sirisena while attending an event in Trincomalee and raised concerns regarding the incident. Since then, a special police unit has been deployed to Jaffna to investigate the incident on the orders of the President and the police officers who were allegedly involved in the incident have been taken into custody.Hon. Sampanthan who also spoke to the Inspector General of Police (IGP) and expressed his dissatisfaction regarding the incident, has also requested the IGP to conduct an impartial investigation and take immediate action.The TNA expresses its deep regret about this incident and would like to convey its condolences to the families, friends, and the loved ones of those deceased”. In the meantime Jaffna magistrate Sinnathurai Satheeswaran visited the site of the “accident”at Kulapppiddy and made a thorough examination of the spot as part of a magisterial inquiry.He saw the motor cycle and the blood stains on the road and on a wall.The magistrate then went to the Jaffna hospital and saw the bodies of the dead students. He also read the JMO preliminary post-mortem report. Magistrate Satheeswaran then recorded an open verdict and instructed that the bodies be handed over to their families. However the magistrate gave specific instructions that the bodies should be buried and not cremated because they may be required in the future for further investigations. The magistrate also asked the protesting students to disperse peacefully and let justice take its course.Many students acceded to the magistrate’s request. 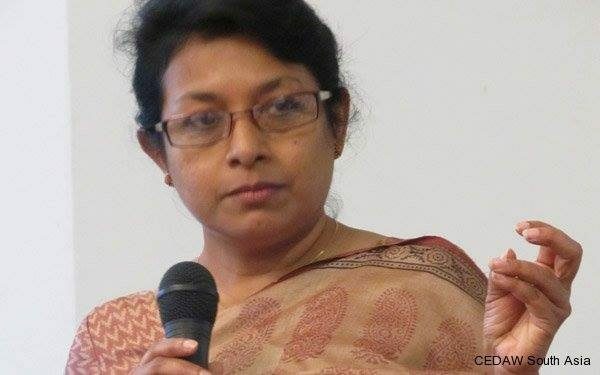 Matters begam moving speedily after President Maithripala’s proactive initiative. A senior Police official in Jaffna was assigned the task of questioning the Police personnel on duty at Kulappiddy. Hosppital authorities were also contacted and post – mortem examination report obtained.. A special team of CID officials was despatched urgently to Jaffna to probe matters further.On the basis of such findings the five policemen on duty were arrested and interdicted pending further inquiries.The policemen were produced before the Jaffna magistrate who remanded them until November 4th. Responding to a Police request the magistrate ordered that the five cops be detained in Anuradhapura and brought to Jaffna whenever necessary.Thereafter a fresh press communiqué was issued by the Information Department. It was made clear in the press release that a Post Mortem examination had been held and that five police officers had been arrested and immediately interdicted. “All necessary steps have been taken to ensure that the law is properly implemented in this regard,” emphasised the information dept statement. 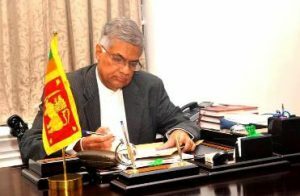 Prime Minister Ranil Wickremesinghe and Law and Order minister Sagala Ratnayake were not in Sri Lanka when the shooting incident occurred. They were on a five day official trip to the EU at Brussels. Both returned on Oct 21st night and were duly informed of the situation. Both were very much concerned about the incident and were constantly in touch with TNA parliamentarians Sampanthan and Sumanthiran. A delicate balance had to be maintained by the Govt between the imperative to secure justice and the need to avoid unwanted ethnic provocation. Thereafter Police spokespersons also began informing the media about the incident. Unlike the old official version about both students being killed in an accident the new version said they had been killed because the Police fired at the motor cycle. The motor cyclist had not heeded an order to stop by the Police and had attempted to flee. The Police then opened fire. The rider was shot and the motor cycle went skidding. The motor cyclist died of gunshot injuries.The pillion rider was thrown in the crash and died due to injuries sustained in the accident.If the older version was that of an “accident” the new version was about an “Accidental shooting”. This columnist interacted with a wide range of informed sources in Sri Lanka in a bid to find out more about what had happened in Jaffna on the night of October 20/21st.According to Jaffna teaching hospital circles the motor cyclist Sulakshan had been hit in the chest, abdomen and head. He had died of gunshot injuries. The pillion rider Gajen had died of injuries to the head when he had been thrown off the motor cycle. However Gajen had a bullet lodged in his body but had not died due to that. It was found that the bullet had pierced through Sulakshan’s body and entered Gajen’s body. This revelation if correct gave rise to strong doubts about the amended Police story of firing at a motor cycle flouting the order to stop. If the Police had indeed fired at the fleeing undergrads then how did the bullets enter the motor cyclist Sulakshan seated in front instead of hitting the pillion rider Gajen seated at the rear?Moreover how did the bullet fired from the rear pierce Sulakshan in front and then enter Gajen’s body? TNA and opposition leader R.Sampanthan voiced these doubts clearly by raising the issue in Parliament.He also demanded an impartial inquiry into the incident and urged that culprits be identified and punished. Making a special statement in Parliament Sampanthan said: “On Oct 20, 2016 two Third-year students of the University of Jaffna were shot at by the Police at Kulappidi Junction, Kokkuvil. They were both riding a motorcycle at that time ». “Initially the Police reported these two young men had died as a result of a road accident. But the next morning it became clear that they had been shot by the police on the road. The rider of the motor cycle had died with gun shot injuries while the pillion rider died due to head injuries sustained as a result of the crash. The Police have since then changed their position and stated these two students did not stop at the police check point that therefore they opened fire”. “While unreservedly condemning this unwarranted and unlawful attack by the police which has resulted in the deaths of two university students we demand that an impartial inquiry be conducted into these deaths immediately and the truth found out and culprits punished. This inquiry must ascertain as to how gun shots were sustained by the rider of the motor cycle and not the pillion rider if in fact they were fleeing from the Police”. “I was with the President on Oct 21 when this news came and the President immediately ordered a special unit from Colombo to go and take over investigations. The suspects have been arrested and now remanded. Whilst thanking the government for these initial first steps, I wish to ask the Prime Minister as to what further steps have been taken to ensure that the culprits are actually brought to book including through independent judicial processes since serious doubts have been raised in the recent past as to the judicial processes through which high profile crimes seem to have been ended with no conviction at all”. Responding to Sampanthan Prime Minister Ranil Wickremesighe assured that all the investigations into the deaths of two students would be conducted in a transparent manner and legal action would be taken against those responsible for the offence. He said the incident had come as a shock to the government and impartial investigations were being conducted. A contingent of five Policemen led by Sub –inspector Sarath Dissanayake arrived at Kulappiddy junction in a Mahindra Scorpio jeep at 10 pm on Thursday October 20th.The other members of the team were Sgt Jayawardena and Police constables Chandana, Laknaamanna and Navarathne.SI Dissanayake and Sgt Jayawardena had side arms while PC Chandana and Laknamanna had China made T-56 firearms.The veteran driver Navarathne was unarmed. There was very little traffic on the road after 11 pm. The Police did not stop each and every vehicle on the road. Only suspicious looking vehicles with occupants were stopped. The prime objective of intensified police activity in Jaffna was to curb the rising tide of night robberies,”kerala”ganja smuggling and gang violence in Jaffna. Since youths were largely engaged in gang violence young men on motor cycles were the “usual suspects” in most instances. At about 11.40 am the Police at Kulappiddy received a message from their counterparts at Thaavady junction along the AB16 known as KKS road. Two youths on a motor cycle had not heeded a call to stop and were on their way towards Kulappiddy junction was the message. The number of the motor cycle also could not be taken. Upon receipt of this message SI Dissanayake decided that the motor cycle should be intercepted if it came to Kulappiddy.Dissanayake and PC Laknamanna walked ahead about 60 yards and waited while the other three stood by their vehicle parked on the road. Around 11.45 pm the Police saw a motor cycle approaching.SI Dissanayake signalled it to stop. The bike with two persons slowed down as if it was going to stop. Sudenly the motor cyclist increased his speed and swerved thus avoiding the Policemen.The bike then gathered more speed zig sagging across the road. Seeing the motor cycle speeding towards them PC driver Navarathne panicked and shouted at PC Chandana to open fire. Though SI Dissanayake or Sgt Jayawardena had not given orders to fire , PC Chandana had done so at the behest of driver Navarathne.There was very little time to take proper aim. Besides the motor cycle was zig sagging at a hectic speed.PC Chandana then fired several rounds rapidly. The motor cyclist was hit and the vehicle skidded about thirty yards and crashed. While the rider fell down the pillion rider was thrown across dashing his head on a wall.Even his helmet cracked. The Policemen who suspected that the motor cycle riders were armed criminal elements were shocked to find that they were unarmed Jaffna varsity students.The entire police team thought they would be in deep trouble as a result of the shooting.Instead of admitting what had happened the cops thought they could engage in a massive cover up exercise.So they collected as many of the empty cartridges and fired bullets as possible to obliterate traces of shooting. Then they summoned an ambulance and admitted the youths to hospital. They submitted a false report about an accident to Police headquarters in Jaffna which was conveyed to Colombo. The above mentioned account is obtained through informed defence establishment sources. Obviously it has a pronounced bias in favour of the Police. The emphasis is on rationalising and justifying the shooting.It is being said that the Police had to shoot because the motor cyclist had not obeyed orders to stop and seemed to be heading for the Police. The Police were constrained to fire at short notice without being able to take proper aim. In fairness to the Police their version of the incident may be true. In any case the two victims being dead cannot contradict the story. As of now there seem to be no eye witnesses to the incident. Some footage from CCTV cameras from two shops at the Kulappiddy junction were removed by the Police for further investigations. It remains to be seen as to whether such CCTV footage could shed more light on the matter. The shooting has also angered and troubled the undergraduate community. Though the Police did not fire at the motor cycle because the riders were university students the final outcome of undergraduates being victims has hit a raw university nerve. The Jaffna varsity students paralysed traffic along the key A-9 highway for several hours by staging a demonstration with nearly 2000 students opposite the Jaffna Secretariat. A petition demanding justice was submitted through the GA to President Sirisena. In a refreshing display of undergraduate solidarity cutting across ethnic barriers, students from Universities in the south also held demonstrations in support of the Northern university demand.Of course the Southern varsity demonstrations were organized by student union representatives from the Frontline Socialist Party only. Still it was indeed refreshing to see the undergraduate community closing ranks for a common cause.Many Sinhala undergraduates attended the funerals of Nadarajah Gajen in Kilinochchi on October 23rd and Vijayakumar Sulakshan in Kantharodai on Oct 24th. The Kulappiddy shooting incident offers an opportunity where the Tamil people could bond with the Sinhala, Muslim and other ethnicities in the Island to seek justice. Instead of viewing the incident through a mono-ethnic prism and depicting it as part of on going genocide as “tiger” mouthpieces do, the Kokkuvil killings could be projected as part of an on going pattern of Police brutality and Police excesses. Politicising the incident on an ethnic basis alone would once again weaken the very reasonable demand for justice. Broadbasing the demand on a common inter-ethnic platform could yield better results and also enable the Govt to ensure justice without being fearful of an extremist backlash. Unfortunately the Sri Lankan Tamil politicians are like the Bourbons of France. Talleyrand’s famous observation about the Bourbons “They had learned nothing and forgotten nothing”, applies to Tamil politicians also. So instead of supporting undergraduates across the nation to spearhead the demand for justice the Sri Lankan Tamil parties continued to politicise the issue on the basis of ethnicity. Six parties namely the ITAK, TULF, EPRLF, PLOTE, TELO,TNPF and SDP called for a Hartal on Tuesday October 25th. It was very successful as the people responded whole heartedly to such political demands as they have been doing so many times in the past without any tangible results. In an irresponsible exhibition of political showmanship, TNA Parliamentarian Sivagnanam Shreetharan made an utterly provocative speech in Parliament about the incident after his TNA Leader Sampanthan had obtained an assurance in the House from the Prime minister on the same matter. The silver lining in this dark cloud is the pronounced determination and assurances given by President Sirisena, Prime Minister Ranil Wickremesinghe and Law and Order Minister Sagala Ratnayake that an impartial inestigation would be conducted and necessary action taken. The issue has been raised by the opposition leader and responded to by the Prime minister in Parliament. Even though some sections of the Police sought to cover up the incident, it is blatantly clear that the wheels of law enforcement and justice have been set in motion. A magisterial inquiry has been held. It has been acknowledged officially that the youths had been fired upon by the Police. The policemen allegedly responsible have been arrested and remanded pending further investigations. They have been interdicted and are to be produced in courts on Nov 4th. A special Police unit is intensely probing the incident. The Police suspects were taken to the spot and the entire shooting incident reconstructed. An empty cartridge was also recovered. It appears therefore that the legal process is on and that justice would be done after the whole truth is discovered.However it is important to see that justice is not only done but also appear to have been done for both sides. This columnist is of the opinion that the Human Rights Commission chaired by Dr. Deepika Udagama should play a proactive role in this exercise. Though the need for Suo Motu action by the HRC is not necessary as an inquiry is already in progress, the HRC could perhaps ensure that the investigation is serious and meaningful. The independent Human Rights Commission is empowered to do so in many ways such as calling for Police reports and monitoring court proceedings etc. 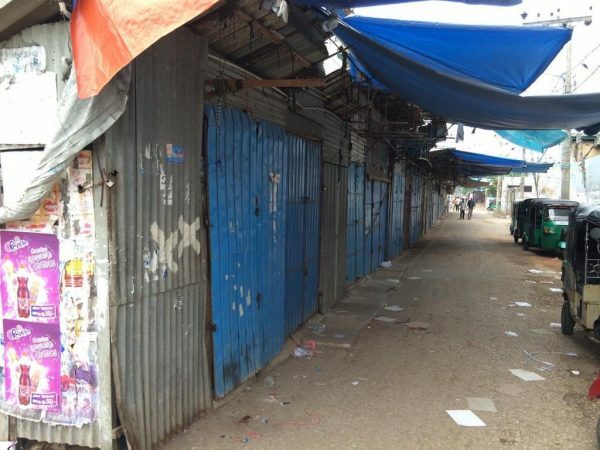 Jaffna reeling under the impact of the Kulappiddy shooting suffered another disturbing experience when members of a motor cycle gang sword- slashed two Policemen in civils at Chunnakam. On the following day leaflets were distributed widely in the peninsula in the name of a motor cycle gang called “Aavaa” claiming credit for the attack. When the Law and Order Minister was asked at a press briefing by the AFP Bureau chief Amal Jayasinghe about perceived Aavaa gang military intelligence links, Sagala Ratnayake walked out. When Jayasinghe queried whether he could take it as a yes, Ratnayake paused at the exit with a meaningful smile and said “I did not say that”. The origins of the Aavaa gang and other related matters would be delved into in detail in a forthcoming article. « Thank You Maestro Amaradeva for the Immortal Music and Songs and The Joy You Brought to our Hearts!